Central to the resurgence of the Roman Catholic Church in Ireland following Emancipation was the work of the Congregation of the Irish Christian Brothers. A lay order of religious men, the Irish Christian Brothers were recognized as a "congregation" whose mission was to serve and educate the poor. The Irish Christian Brothers were organized in 1803 by the Waterford merchant Edmund Rice (1762-1844), and lived under an adaptation of the monastic rule followed by the Presentation Sisters. Rice came from the same social and economic middle class as did the founders of the Presentation Sisters (Nano Nagle) and the Sisters of Mercy (Catherine McAuley). Furthermore, many of the early brothers came from south-east Ireland, and had connections with many of the Irish who came to Newfoundland. Rice's own brother took part in the 1798 United Irish Rebellion, and was smuggled to Newfoundland in a barrel. He settled in Conception Bay. The Irish Christian Brothers were organized in 1803 by Edmund Rice. Artist unknown. From Rev. Brother J.D. Fitzpatrick, Edmund Rice (Dublin: M.H. Gill, 1945) ii. One of the earliest schools and monasteries established by the Christian Brothers was at Carrick-on-Suir, where, Michael Fleming, as a student for the priesthood, witnessed the educational work of the brothers. 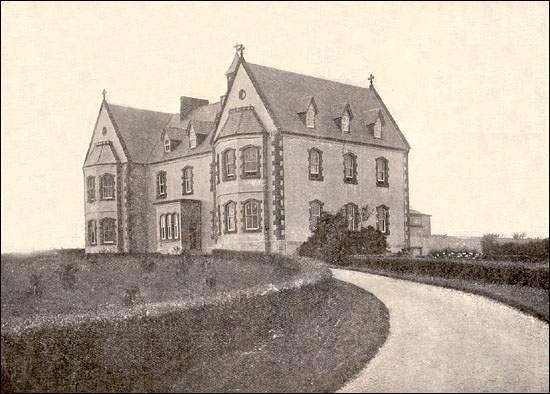 When he became bishop in Newfoundland, Fleming sought to have the Irish Christian Brothers come to St. John's and teach at the Benevolent Irish Society's Orphan Asylum Schools (a "school" was the equivalent of today's "classroom"), but they were unable to do so. It was not until the arrival of Bishop Thomas Power, that another invitation to the Irish Christian Brothers was considered. In 1875, a presentation was made to Power by a deputation of the Benevolent Irish Society. 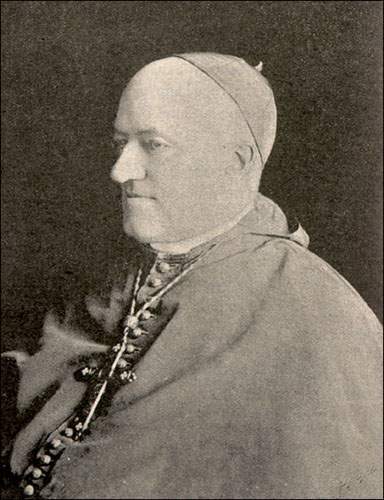 Power had been rector of Holy Cross College, Dublin, and was a close friend of Cardinal Paul Cullen, Archbishop of Dublin. He supported the idea, made a request to Ireland, and the Brothers agreed to come to Newfoundland. 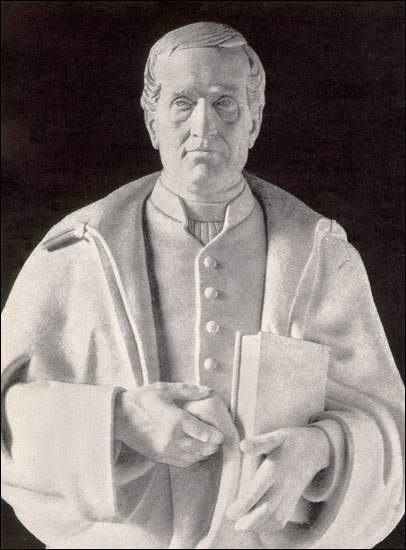 Bishop Thomas Power (1830-1893), n.d.
Power was the sixth bishop of St. John's. From Benevolent Irish Society (St. John's, NL), Centenary volume, Benevolent Irish Society of St. John's, NL, 1806-1906 (Cork, Ireland: Guy & Co., 1906) 206. In October 1875, Brother F.L. Holland arrived in St. John's to make the final arrangements for the opening of the schools. One stipulation was that the schools would be placed under the exclusive management of the Brothers, and that the BIS would relinquish management to the Brothers. The Christian Brothers Schools at St. John's opened in January 1876. Attendance shot up from 66 at the former Orphan Asylum Schools in November to 300, the full limit of the space available. Soon after the Brothers arrived, Bishop Power planned a residence on Merrymeeting Road. Designed after the Christian Brothers' Monastery in Wexford, Ireland, the cornerstone of Mount St. Francis Monastery was laid in September 1877. Mount St. Francis Monastery, St. John's, n.d.
Residence of the Christian Brothers. From Benevolent Irish Society (St. John's, NL), Centenary volume, Benevolent Irish Society of St. John's, NL, 1806-1906 (Cork, Ireland: Guy & Co., 1906) 66. Not long after the Brothers arrived, the Benevolent Irish Society determined that new schoolrooms would be required. Funds were raised, and in 1877, the cornerstone was laid for the new St. Patrick's Hall on Queen's Road, a facility which also would contain meeting rooms for the Benevolent Irish Society. St. Patrick's Hall was opened in September 1880. As the success of the Irish Christian Brothers in providing education to Newfoundland Catholic boys became renowned, there were calls for the Brothers to begin running other schools. In 1889, the Brothers assumed the management and teaching at St. Bonaventure's College. Under Brother J.L. Slattery, they began teaching at the Industrial School and Orphanage established by Rev. Michael F. Howley (later, Archbishop Howley) at Mount Cashel, the site of his family's home on the outskirts of St. John's. And finally, that same year, Holy Cross School opened on Patrick Street in St. John's, and four more Christian Brothers came to Newfoundland, under the management of Brother Brennan, to teach there. By this time, between 700 and 800 boys were attending Christian Brothers schools annually. The past pupils of the schools filled offices of trust and responsibility in the large mercantile firms and in Government offices in the city. Employers showed a keen desire to engage boys from the Christian Brothers' schools. The training these boys received produced in them habits of attention, industry, honesty, and sobriety, which made them most valuable and reliable employees (Kent 157). On 8 July 1892, St. Patrick's Hall burned in the fire which consumed much of downtown St. John's. However, the outer walls were made of stone and were virtually intact. The BIS decided that the need was great, and rebuilt St. Patrick's Hall inside its shell in almost the exact manner as it had been before the fire. The Hall and schools reopened in 1894.